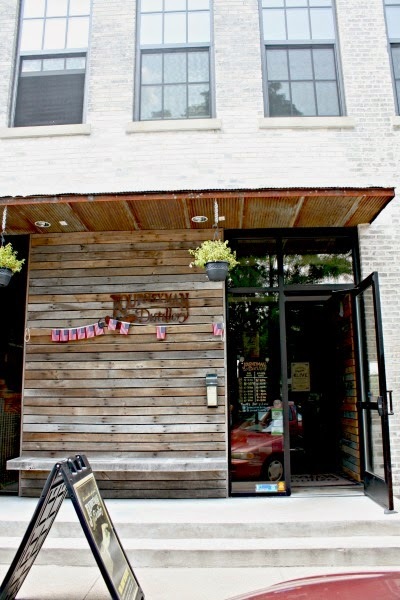 Journeyman Distillery in Three Oaks, Michigan has been on our list for some time. 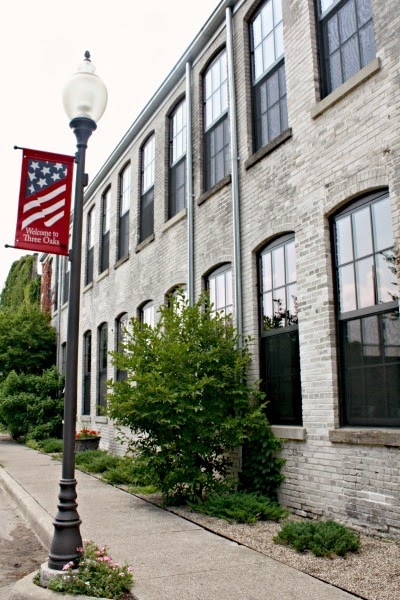 A whiskey distillery, Journeyman is located inside the historic Featherbone Factory which once served as a factory for corsets and buggy whips. Already, you can tell a trip to Journeyman is fascinating. The interior of the distillery and restaurant really speaks to the artisan history of the building. 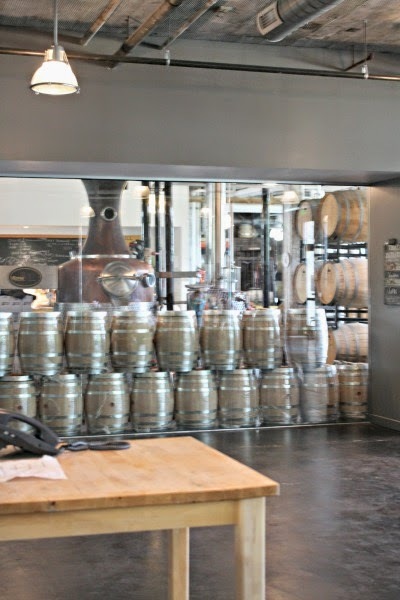 You can take a sneak peak at the distillation process through large glass windows in the restaurant. Each bottle is distilled, bottled and packaged at Journeyman. 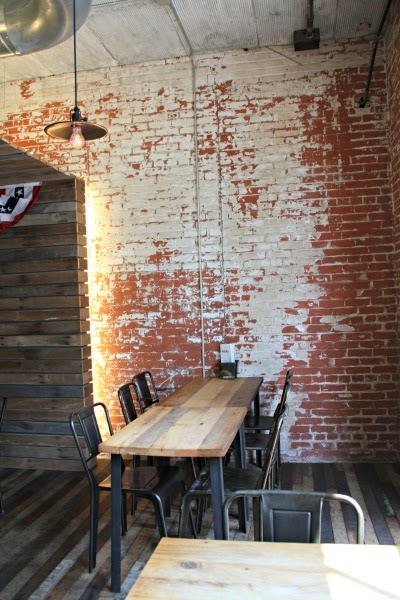 Brick walls, wood barrels and more elements begin to speak about the stories hidden in this building built in the 1800's. My husband, of course, wanted to give Journeyman's whiskey a whirl, so we sat down to have lunch and a whiskey flight (well, he had the whiskey). 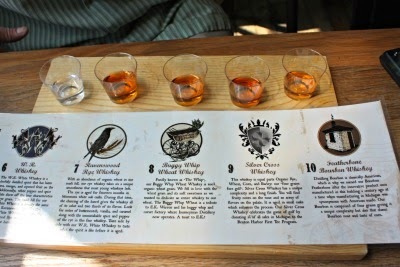 We loved how the whiskey flight was presented and especially appreciated the wonderful descriptions. And, yes, my husband found a couple that he enjoyed quite well! 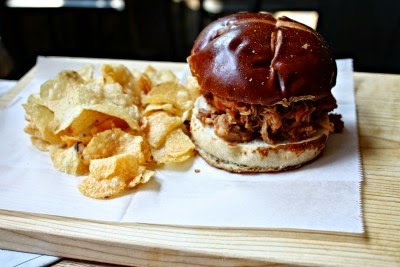 For lunch, we tried the charcuterie plate which featured hand cured meats and artisanal cheeses, the roasted garlic & edamame hummus plate and the bourbon bbq pulled chicken sandwich. Journeyman's menu is not particularly huge but they do have plenty of noshing options and everything we ate seemed fresh and well-executed. 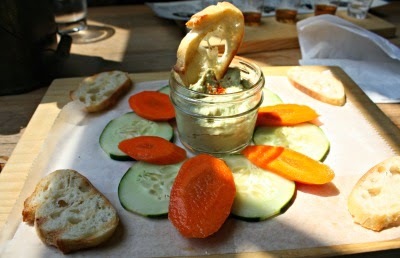 I give a lot extra points to having lovely, fresh veggies with the hummus. We did not have time on this visit, but you can also take a tour of the distillery. Tours cost $10 pp and run about 30-45 minutes. In addition to learning about the distillation process, you will also learn a little about the history of the building. If you are set on the tour, I do recommend reserving in advance. Kids are allowed on the tour for free but Journeyman requests that you do not let them wander and keep them close. Check Journeyman's website for times, etc. You can also purchase whiskey and other spirits distilled by Journeyman including gin and rum to take home. 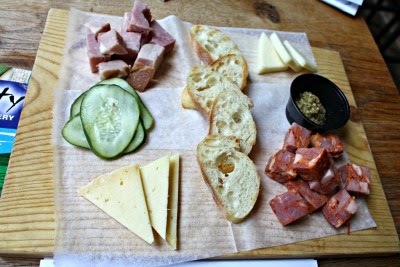 Journeyman was a great little spot for a respite during our Michigan visit. We were all smiles when we left, ready to continue our journey--can you ask for more?